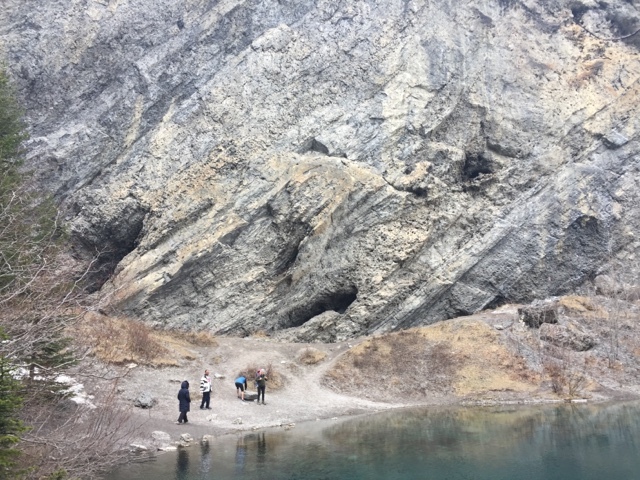 Last weekend, we were in Canmore for a birthday party and decided to hike Grassi Lake after we finished up. 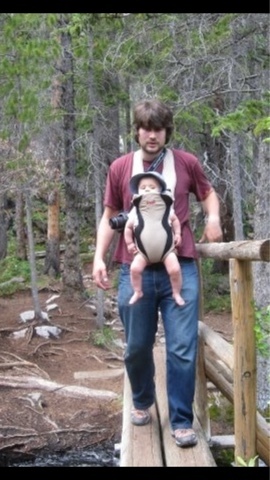 It was the first time we were hiking that trail since Finley was a baby. See how much Greg and Finley has changed since summer 2009. I am so glad Greg finally quit growing his hair this long, it is so much looking now. And he is wearing jeans on a hike - he would never ever do that now haha. This is the carrier we used before we bought our ergo - definitely inferior for sure! 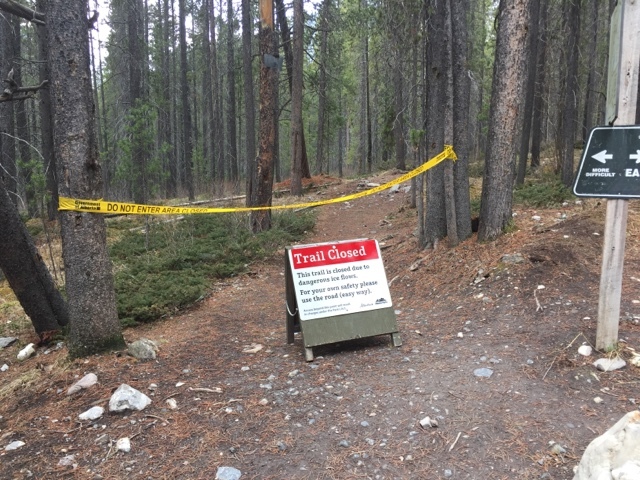 There are two ways to get up to Grassi Lakes - the hard way and the easy way. We had planned to take the hard way up and the easy way down but unfortunately the hard way was closed and so we were forced to go up and down the easy way, which, in my opinion, wasn't necessarily a bad thing. It was cold and I wasn't really in a hiking mood. The day had started out relatively warm and sunny but by the time we started hiking, it had gotten chilly, cloudy and not overly nice out. But there is something to be said about the mountains when it is eery outside. If you look down, wayyyyyyy down, you can kinda see where we parked. Seriously, isn't this view amazing?? I always feel so much gratitude when I see views like this - it is such a privilege to have this all in our backyard. Here is Lower Grassi Lake. They lie at an elevation of about 5003 feet and they receive their water from the Spray Lakes Resevoir on the Spray River. 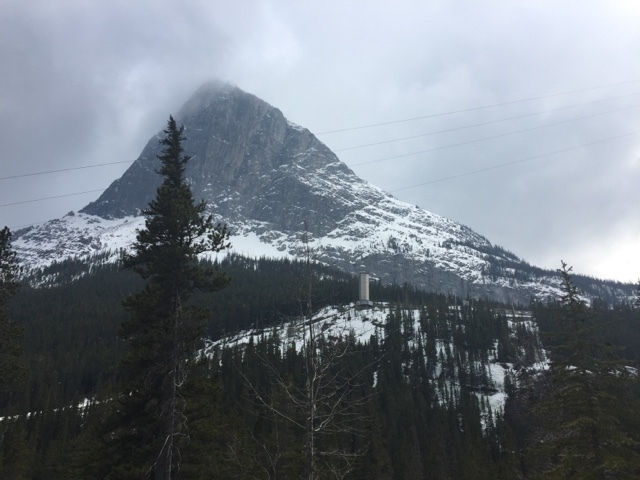 The land is part of the Canmore Nordic Centre Provincial Park, which is part of the Kananaskis Country park system. 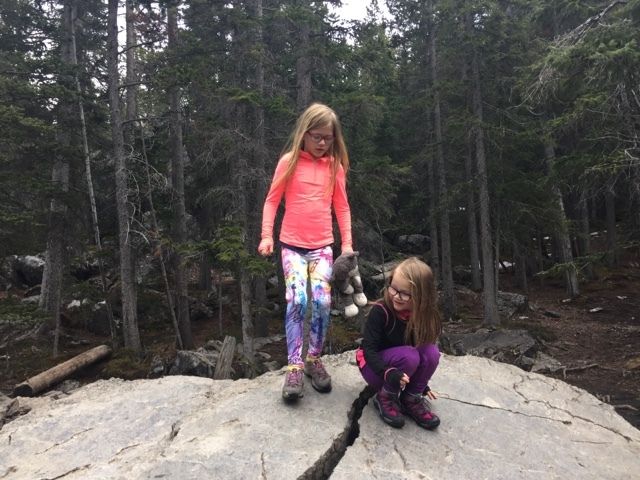 Finley and Penelope doing some exploring around Lower Grassi Lake. Kitty comes to all hikes and loves to explore. 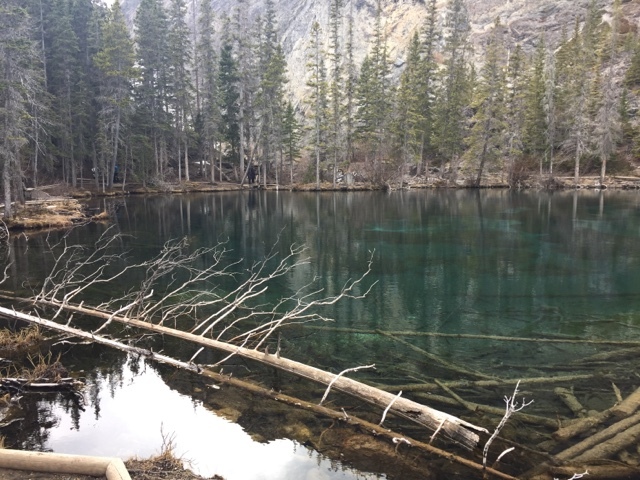 This is Upper Grassi Lakes. The lakes are named after Lawrence Grassi and if you are a hiker in the Rocky Mountains, then you have heard of him. He paved the way (or moved some rocks around) so that we could hike so many places in the area. He did a few in Lake O'Hara that we have done and they are freaking amazing. Thank goodness he took an interest in climbing and building trails for us to enjoy a hundred years later. 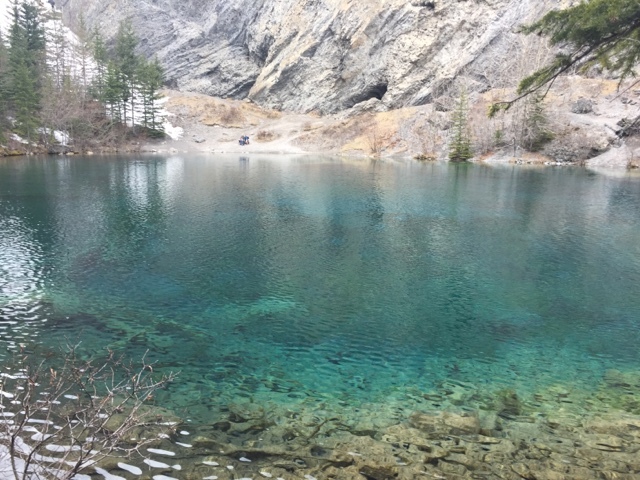 When I was pregnant with Finley I attended a week long geology class and I don't remember who taught it or a single thing I learned but I do remember him saying 2 things that you most definitely should do and one was to hike Grassi Lakes because he called it one of the geological wonders of the world. And he wasn't wrong. It is such a beautiful place and impossible to capture all of its beauty in a mere photo. 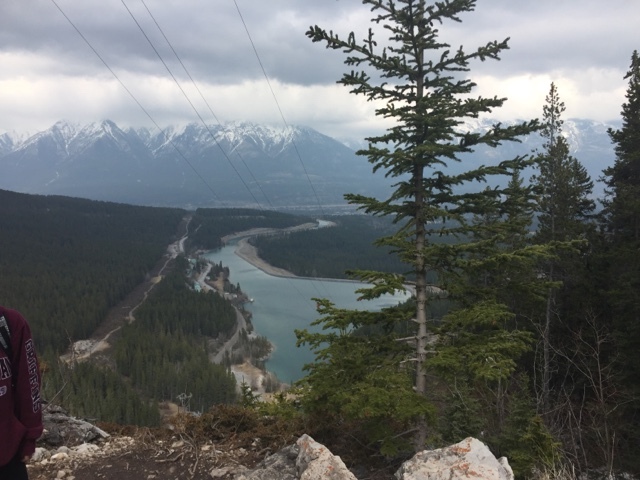 If you ever find yourself in Canmore with an hour to spare, I definitely recommend that you do this hike. It is super easy and good for everybody!